Interview with Tarik Dizer, Product Manager, Univera on Increasing Role of Technology in Warehousing. | Fleming. Interview with Tarik Dizer, Product Manager, Univera on Increasing Role of Technology in Warehousing. Tarık Dizer started his career in 1995 in IRI Research Corporation as Software Department Assistant Manager & Research Assistant. In 1998 he joined Univera as a Software Development Specialist. Thirteen years, He worked as Senior Software Developer and Software Technical Manager in Software Department. He has been working as a Software Product Manager for the last six years in the same company. Mr Dizer is married and has a daughter and he has Ege University Computer Applied Statistics Bachelor degree. 1. 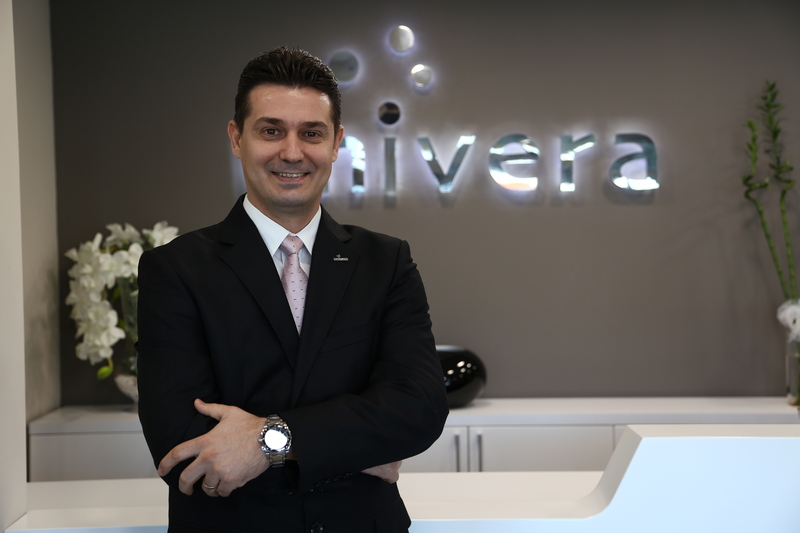 Can you give a brief insight into Univera's operations and focus within the MENA region? With our customer centric approach, we work for “unconditional customer satisfaction”, “rapid feedback” and “continuity of the business”. Our uninterrupted relations with our many international customers are a result of this level of service. We would like to deliver this expertise to MENA region as well. A Univera customer always owns the best in-line business applications, the most advanced technological products and the best business decision support systems. A Univera customer gains a competitive edge with these tools. When you will your solve business issues, you don’t only buy a software and hardware, but also receive an ultimate combination of project management, proven expertise, system analyses, business consultancy and fast deployment from Univera to help you excel. 2. How in your opinion has technology revolutionized the modern warehouse? With computers becoming easily affordable, more compact and reaching ergonomic sizes they started to be used more commonly also in the warehouse, as it is the case in any industry. By means of the establishment of wireless network infrastructures covering whole facilities by means of Access Points, even the furthest ends became monitorable and processable. With advanced and industrial handheld terminals, forklift terminals, portable printers, labels developed for challenging environments (dusty, wet, cold, hot, etc.) and IoT equipments it is now possible to collect and interpret data from the field and to guide users for the quickest and most correct process. By means of its flexible structure capable of communicating with all these devices and that can be adapted to the sector and the company, Stokbar Panorama is always ready to solve problems. 3. What are the most crucial challenges faced by warehouse managers today? The most serious problem warehouse managers experience nowadays is the inabilities to see the instantaneous state of the stocks and to manage logistics activities effectively. Viewing instantaneous stock status, determining sales strategies on the basis of the products' shelf lives, working with minimum stocks, providing customers in the fastest way possible with products arranged on the basis of their expiration dates and shelf lives and storing the products in the warehouse again based on these criteria are the most crucial issues for warehouse management. By using StokBar Panorama, warehouse managers can monitor their stocks instantaneously and on the basis of many criteria including location, lot, serial number, expiry date and production date. With warning mechanisms and reports that can be customized to involve ageing (detailing the time left to the expiry date of the product) or any other information, warehouse managers can keep the stocks under control at all times. On the other hand, by means of the Transport Consignment Planning Module logistics and transportation stages can be planned and managed effectively with maximum fullness through automatic optimization or manual loadings. 4. In what ways do the WMS requirements of different industries vary? Different sectors have, naturally, different processes, methods and systems. Sustaining, developing and supporting these systems and processes in a single package is a field of expertise. With our Stokbar Panorama package we support FMCG (Food & Beverage), Refineries Oil, Mineral Oil, White – Red Meat / Poultry – Fish, Paper Products, Tea – Tobacco Products, Automotive – Tire Products, Pharmaceutical – Health Industry and Hygienic Products & Cosmetics sectors for a long period thanks to our adaptable structure and a single package software. 5. What key metrics do you think organizations should measure their warehousing productivity by? 6. How does Univera help companies with warehouse management and optimization? With the traceability programs Univera developed on the basis of hundreds of project experience it acquired through years, Univera ensures the traceability of the process from the instant the raw material is acquired until the product reaches the end user. Complete traceability is achieved with our Lojitek Panorama (agricultural supply management), Stokbar Panorama (warehouse and product management), Enroute Panorama (mobile sales and distribution management) and Quest Panorama (mobile job management) packages developed for this purpose. 7. Do you believe high customizability in warehouse management suites improve functionality for most organizations? According to the data obtained from the pre-project and post-project studies and measurements conducted by determining measurable values for business (ROI) we can definitely state that there is improvement. Costs are reduced and profitability is enhanced by means of ensuring there are no idle products in logistics – consignment, production and production planning and warehouse – stocks departments, that the stocks are well managed and the right products are fully delivered to the customers. 8. What are looking forward to at the 2nd Annual Warehousing and Inventory Optimization event? We had negotiations and even projects carried out with companies in the MENA Region in the past. With this event we aim to strengthen these relations, to analyze changing needs of the companies, to meet new business partners and increase our projects in the MENA Region.